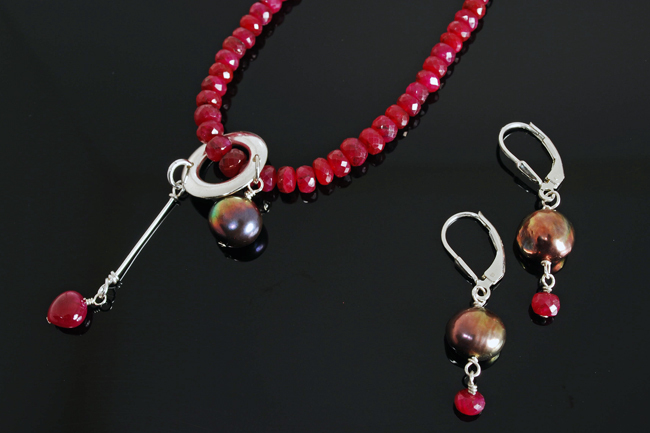 This stunning strand of faceted rubies, outstanding on its own, is accented by a blue/black freshwater pearl and a cabochon ruby heart suspended from two sides of a sterling silver ring. Matching earrings available. Shown 18″ long.